There were a lot of articles from which to select. You can get more details in the rescource center at the bottom of the page. I selected this piece because of the comments fans are leaving on the blog. 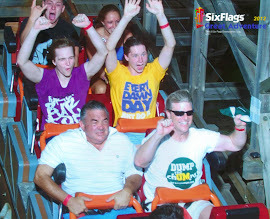 I included some here and more after the jump-break. "I went back to Ohio..."
The Big Ten Awaits - How Do The Buckeyes Measure Up? Spartans travel to Ohio State on Saturday to face the Buckeyes in Ohio Stadium. EAST LANSING, Mich. - Michigan State head coach Mark Dantonio held his weekly press conference Tuesday at the Spartan Club in Spartan Stadium. Dantonio recapped the Central Michigan game and previewed this Saturday's matchup against Ohio State. The Spartans (3-1) and Buckeyes (3-1) will kick off at 3:30 p.m. ET in Ohio Stadium on Saturday. The game is being televised on ABC (reverse mirror on ESPN in outer markets). "I think the Big Ten season tends to define you," said Dantonio. 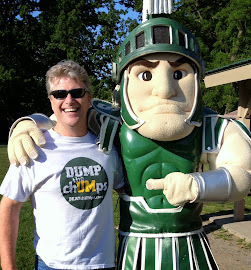 "I know we can win in (Spartan) Stadium. We've got to win on the road in order for this football season to be a success ultimately, total success, what everybody wants. We've got to go and win on the road. That's just a fact. This is the next one up, and we'll be motivated." Apologies for my absence but I’m finally back to chip (no pun intended) in my two cents about the boys of fall. There’s a lot of talk, hype and speculation surrounding MSU & OSU game. I’m going to list a few key points to this matchup in an “Advantage/Disadvantage” format for Michigan State and Ohio state. There’s no question that MSU has regressed in this category. Whether it is kickoff returns for TDs, blocked punts, missed FGs (or fakes) this squad has greatly underperformed all season. Where has Keshawn Martin (or Nick Hill) been as a big-play threat this year? EAST LANSING - Statistically speaking, the Michigan State defense is having one of the best seasons in the nation. Though the number of games and quality of opponents differ between teams, MSU ranks No. 1 in the Football Bowl Subdivision in total defense after Saturday. The Spartans are allowing 172 yards per game, just ahead of Alabama, Virginia Tech, Florida, Wisconsin and Texas. Free Press sports writer George Sipple reviews the lessons gleaned from Michigan State’s 45-7 win Saturday. Reynolds moved over from the defensive line last week to back up Dan France at left tackle. Reynolds played a significant amount of snaps against the Chippewas and looked like he might be able to push for more playing time heading into conference play. Travis Jackson also looked solid in his first action at center. Incredibly, Micajah Reynolds moves from defense to offense and looks like he should have been at left tackle all along, doesn't he? So can Reynolds really push Dan France at this point for that job? The new York Times studied a variety of measurable factors to determine the number of fans each school carries. For the complete story, click here. Let’s review the results on a conference-by-conference basis with an eye toward realignment. Conferences are listed in order of their aggregate number of fans based on their current configurations. The Big Ten can afford to be picky. Ohio State, Michigan and Penn State are the three most popular college football teams in the country, according to our study. Seven Big Ten teams, including new addition Nebraska, rank in the top 20 nationally. And all but one Big Ten school is in the top 50, the lone exception being Northwestern, which has the Chicago market and strong academics going for it. See the whole post, including definition of terms and game chart here. Notre Dame kicked us up and down the field on first down, on both sides of the ball. On offense, they got into '2ndand 5 or better' situations over half the time (14/26) and racked up the EqPts on the down as well (An astounding 12.409 out of their 16.855 total points came on 1st down. That's about 74% of their total production during the game). Simply put, ND was going for the big gain, and pulling it off, at the very beginning of a set of downs. And when ND was on defense, though Michigan State ran a sizable, for MSU at least, 32 plays on first down, they were only 'successful' on less than a third of them, and hardly managed any good yardage out of so many opportunities. This meant MSU constantly had to fight out of bad down and distance situations on offense and defense. 2. Oh God, the field position! It means nothing! Nothing! I was stupefied to see how many times MSU turned a good start into nothing. • Is Saturday's 31-13 loss at Notre Dame a sign of bad things to come for MSU football this season? It certainly has been over the years. MSU's previous five losses to Notre Dame came in 2009, 2006, 2004, 2002 and 1994. The 2009 team finished with Mark Dantonio's only losing record (6-7) at MSU. The 2004 team went 5-7 under John L. Smith. And the other three teams got their head coaches fired! That's Smith in 2006, Bobby Williams in 2002 and George Perles in 1994. Gee, I wonder why this song comes to mind. Quarters: Is Pat Narduzzi's approach to ND money in the bank, or a drunken mess? This is not a position by position breakdown. This is three or four semi in-depth thoughts on things that interest me about this match up. Enjoy/Discuss. "Narduzzi is referring to Michael Floyd as "Waldo" this week because MSU's defense must be able to find him on every play, and he moves around a lot. MSU will try to get a Johnny Adams-Floyd matchup on certain downs and distances, Narduzzi said, but in other situations MSU will play boundary (Dennard) and field (Adams) as usual." I enjoy watching Pat Narduzzi defenses play against pass first offenses (particularly pass first spread offenses). Not because our base 1st and 2nd down scheme, the 4-3 quarters (or cover four) has any high tech tricks against such offenses. In fact when the players aren't very talented, it's probably the opposite, as the horror shows of 2009 can attest to. In fact, it's more based on what Hank Hill would call, "Ah, the fundamentals." VIDEO: 10 minutes of highlights MSU vs ND 2010 - Running Backs! Video: Little Giants Fake Field Goal vs Notre Dame in OT, 2010. OK - I know we are going to see this over and over again leading up to and during the game Saturday, but we may as well start right here. It just doesn't get old. Listen to the crowd noise. Here is the video of "Little Giants", Spartan style. So really, what do you think about these uniforms the Spartans will be wearing for the chUMps game at home on October 15th? Go Green!... ...Go... Bronze? Please add comments below (or in the chat box to the right). SpartanMan82 declares needs. Spartans Deliver. In his post, “We Can’t Always Get What We Want”, Spartman82 illustrated the difference between what we, as fans, WANT and what “we”, as a football team NEEDS. In the exhibition game last week, Spartans did not get what they wanted or needed – other than a win and minimal to no injuries. This afternoon the Spartans delivered, with authority, exactly what SM82 outlined prior to the game – in both the WANT and NEED categories. “If we can we can get these needs met without scoring 70 points, I’m good with that. What I really WANT is the weather” to be like last week’s game and like it was for the Rolling Stones concert at Spartan Stadium when they performed, “You Can’t Always Get What You Want” (note C-Mann79 on guitar in the video below). CHECK! So SpartanMan82, What is it we NEED from our first “real” game next weekend in South Bend? Excellent analysis – can you do it again? Recruiting: Could Spartans land Michigan's best prospect again? Michigan State has landed the top football recruit in Michigan, according to Rivals.com, the last two years. In 2010, it was Detroit Southeastern defensive end William Gholston and most recently it was Detroit Renaissance linebacker Lawrence Thomas. Could the Spartans make it 3-for-3 in 2012? Rivals.com has MSU commitment Aaron Burbridge, wide receiver for Farmington Hills Harrison, ranked as the No. 2 player in the state for the class of 2012. He is behind only Michigan commitment Royce Jenkins-Stone, linebacker at Detroit Cass Tech. How well these two perform this fall could go a long way in determining who will be the state’s best recruit on national signing day. Rivals.com Midwest recruiting analyst Josh Helmholdt hasn't seen much difference between the two prospects so far this season. Burbridge and Jenkins-Stone are expecting to lead their respective teams deep into the playoffs. Both will get several chances to prove who is the top recruit for 2012. Be Sure to read SM82's post below just below this one. Here is the video. Click here for the video of the Press Conference. EAST LANSING, Mich. - Michigan State head coach Mark Dantonio held his weekly press conference Tuesday inside the Spartan Club at Spartan Stadium. The Spartans, who remained ranked 17th in this week's Associated Press Poll but moved up one spot to No. 16 in the USA Today Coaches Poll, host Florida Atlantic Saturday, Sept. 10 at noon in Spartan Stadium. The game is being televised on ESPN2. MSU (1-0) is coming off a 28-6 win over Youngstown State, while the Owls (0-1) fell at Florida on Saturday, 41-3. "Looking back at Youngstown State, I think expectations coming into the game were a little bit higher than maybe we played; however, you get challenged with adversity, and that's the name of the game, I think, as a football coach and as a football player," Dantonio said. "You're constantly challenged as you move forward. "But we're looking forward to getting out to practice this week; 28-6, I'm sure everybody would have liked to see a 40-6 shot and everybody could be happy. But we are where we're at. That's always been the MO here; no easy games out there. Just serves as another indicator what wherever you go, I don't care who you're watching, whether you're watching another football team or you're watching your own team, everybody is going to be ready to play, everybody has players, and everybody does their very best to compete." On a humid summer night, almost 76,000 fans packed Spartan Stadium for a sweaty soiree of Spartan football. The Friday night home opener gave MSU their first win of the season over Youngstown State in a final score of 28-6. Below is a position-by-position breakdown of the first game of 2011. Let’s start with defense first… after all, they do win championships. The highly touted grunt line that anchors the defense, gave up 128 yards on the ground. Despite not having a single sack in the game, they blocked an extra point and stopped Youngstown State on a 4th & 1. To replace last year’s veteran backers, this Spartan corps looked timid and seemed to frequently get caught on their heels. They gave up 20 first downs as the Penguins converted on 53% of its 3rd down attempts. "We'll address our issues," Dantonio said. "I can promise you that." 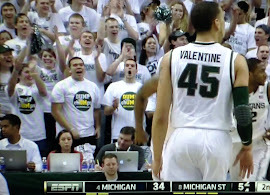 EAST LANSING -- There was some blunt, colorful halftime commentary within the Michigan State locker room. The Spartans looked sluggish, leading lower division cousin Youngstown State by only eight points. The assessment was deservingly harsh, but anyone thinking the coaches chipped the paint off the walls with their blistering verbiage or sent chairs flying in rage should understand something. There's no need for such histrionics now. When you've had the same system in place for what's now five years, everybody already knows what needs to be done to turn what went wrong into what should be right. Dantonio agrees with SpartanMan82. He had a slip of the tongue and said "OK, lets re-crap this"
Well, well. 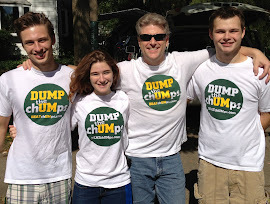 Look who showed up to the party with his first Post on dUMp the chUMps. SpartanMan82 published his first post. 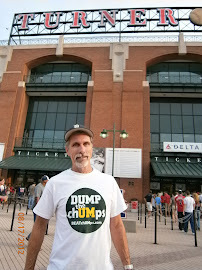 SpartanMan82 is the creator of the phrase dUMp the chUMps and will be the featured Author on this site as we grow (in one week, we have gone from zero to 19 "likes" on Facebook). 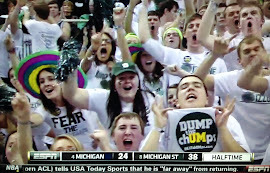 Fittingly, SpartanMan82 characterized the Spartans play as a stinky "dump". I clicked "agree" in the box under his post yet I do want to offer an additional perspective. C Mann 1979 comments on Spartan's "practice game"
I invited my brother, a Spartan in SEC country to be a guest Author on the Blog. He is an old man so I'll help him out with the technology a bit here. He did comment on the previous post (Arthur Ray Jr) and his are perfectly fit for a main post. Use the chatbox in the right column or the comments link at the bottom of the post to comment on C Mann 1979 's thought on last night's game. I watched much of the Wisconsin-UNLV game Thursday and the Badgers certainly were impressive. Granted they never play poorly at home at night and UNLV has never been a powerhouse. On the other hand, I only read the stats of the SPARTY game and feel that the D has to improve their 3rd down stop rate. YSU had the ball almost 20 minutes in the first half. Improvement came in the second half and we hope the team is ready to continue to play good D when we visit the Irish the week after they hand the chUMps their first loss of another long season. Oh and I'm taking the Broncos with the 13 1/2 points today. EAST LANSING -- Arthur Ray Jr. and his comeback from bone cancer continued with a symbolic moment when he started Michigan States’ season-opening game and played the first offensive play for the Spartans on Friday night. He started in place of team captain and four-year starter at left guard, Joel Foreman. Ray played the one play against Youngstown State, and then returned to the sidelines. "The way that all transpired is Joel Foreman came to me and asked if we could do that," coach Mark Dantonio said. "It was a selfless act by Joel Foreman that’s the beautiful thing there. So, I want to make sure our players understood that. It wasn’t Mark Dantonio being a nice guy. It was Joel Foreman being selfless." Ray, a 6-foot-2, 297-pound offensive tackle, was a part of the 2007 recruiting class for then-new coach Mark Dantonio. Kirk Cousins drew plenty of criticism in Michigan State's two losses last season — at Iowa, and vs. Alabama in the Capital One Bowl — and rightly so. But Cousins also had his share of big performances in big games. In the OT win over Notre Dame, he threw for 245 yards and engineered a fourth-quarter drive that tied the game on a TD pass to B.J. Cunningham. He was 20-for-29 against Wisconsin and put the game away on fourth down when he hit Cunningham for the clinching score with 2:43 to play. And in the comeback at Northwestern, he threw for 331 yards and three TDs, with the winner to Cunningham. It was hard enough for the Spartans to divide the carries between three backs a year ago, so it should be more difficult to do it with four. But considering the way redshirt freshman Nick Hill played in camp, the coaching staff will try to find a way. Edwin Baker, Le'Veon Bell and Larry Caper combined for 352 carries in 2010 and barring injury, they should expect the same. With that logjam, expect Hill to get plenty of chances returning kicks and in special formations.